Mr. Jimmy Wong has been actively involved in the development of marching bands in Asia for the past 25 years and has brought many local and international accolades to the bands under his direction, more so with the Victoria Institution Cadet Corps (VICC) Band from Kuala Lumpur, Malaysia. He has led the VICC Band to Gold Medal achievements in all their World Championship outings (2000, 2003 and 2011), and also won the World Championship title for the Parade competition at Monza in 2003. He has actively participated, adjudicated and consulted in international marching band competitions and festivals in Australia, Indonesia, Singapore, Thailand, Cambodia, The Philippines, Hong Kong, China, South Korea, Japan, Taiwan, Belgium, Denmark, The Netherlands, Italy, and Canada. Mr. Wong was also the main coordinator, instructor, and choreographer for the Mass Band displays during the 1998 Commonwealth Games, the 2001 SEA Games, and the 50th Malaysia National Day Grand Celebrations. He has successfully organized the Kuala Lumpur World Marching Band Competition from 2007 to 2010, which was the foremost international marching band competition in the Asia Pacific region. In 2011 he organized the WAMSB World Championship of Marching Show Bands which was hosted by Kuala Lumpur, Malaysia. Mr. Wong was also the advisor for the first Thailand International Marching Band Competition (TIMBC) in 2009. In 2012, Mr. Wong successfully organized the first Hong Kong International Youth Marching Band Competition, acting as its Festival Director and Chief Technical Consultant. 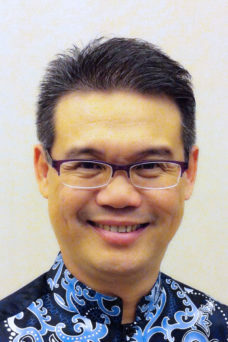 Mr. Wong sits in the Executive Board of Directors of the Asia-Pacific Bands’ Association, and also acts as Advisor and Consultant to the All-Hong Kong Marching Band Union and the Hong Kong International Youth Marching Band Competition.